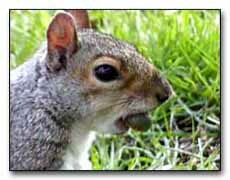 Nature is not random and it is beautifully proven out by the squirrels. During the next week, spend about 20 minutes in your own back yard and observe squirrels. You will notice a very interesting pattern. The squirrels have a tree to tree, branch to branch, roof to roof highway that they always seem to go on. With thousands of combinations of branches and trees to jump and run on, they always seem to pick the same route. So, if you didn't recognize this pattern before, what else did you not recognize? Once you've identified the route, try to take an anticipated midair photograph of where you expect that squirrel to be. It will prepare you for "In-The-Moment Photography". Understanding that nature is not random will give you more wildlife photography opportunities.